Sundance Film Festival: Audience Award; Top Foreign Films: National Board of Review; Montclair Film Festival: Audience Award; Seattle International Film Festival: Best Director; Zurich Film Festival: Critic’s Choice Award; 23 additional wins, 33 nominations. 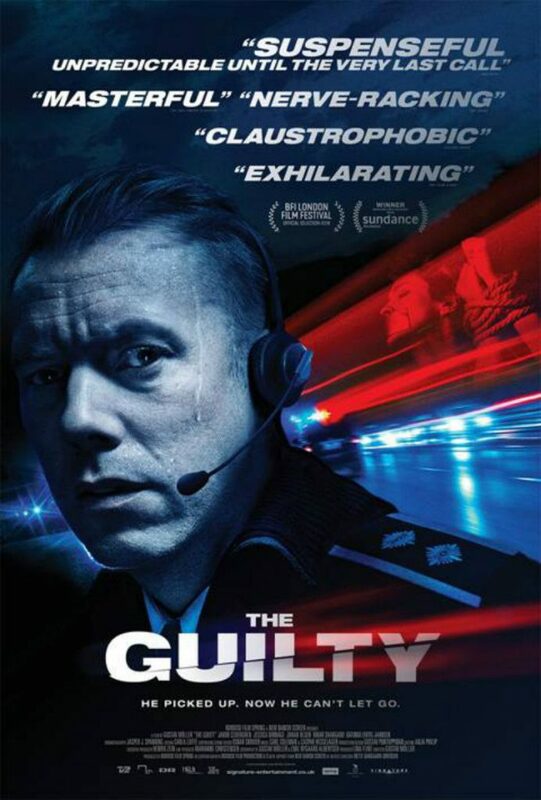 “The Guilty” is a clever, thoroughly engrossing film from Denmark that marks the directorial debut of Swedish-born Gustav Möller, who also co-wrote the screenplay. . The novelty here is that it all takes place inside one office, the headquarters of emergency services. Our protagonist is stuck there as a kind of punishment while an internal review case is pending. He hopes to be out on the street soon. This and other elements of his back story are imparted piecemeal over the course of the picture. Because this is only a temporary assignment, he isn’t as knowledgeable as his colleagues about how to handle emergency calls—and, more important, how to keep a professional distance. Alas, he can’t help himself after he receives a call from a woman who has apparently been abducted and is being driven somewhere against her will. Using the latest technology, he makes decisions and assumptions that reveal his inexperience in a series of twists that keep us guessing what is really happening right to the end. Audacious and brilliant, this set-up is in the class of “Locke” (a NOSFA film), which features Tom Hardy talking on his cell phone while driving for nearly 90 minutes. Jakob Cedergren is completely convincing in the lead and carries the film. “The Guilty” is the work of a real talent, an impassioned storyteller.